The best blueberry pies are made right here in Philadelphia. Why? Because the blueberry capital of the world is only 35 miles down the road and also because Philadelphia is home to some of the best pastry chefs in the USA. The plumpest, juiciest and sweetest blueberries are gown in Hammonton, New Jersey which is about midway between Philadelphia and Atlantic City. In summer, Hammonton supplies the world with the blueberries, considered a super-food by most nutrition experts for their antioxidant properties. Fortunately, blueberries freeze really well so in the Philadelphia area, bakers are wise enough to stock up when blueberries are at their peak of maturity and perfect for making the best-tasting pies all year long. This is a gift to dessert lovers in the greater Delaware Valley. Philadelphia is plentiful with fine restaurants, casual cafes, and old fashioned diners. Just about all of them sell whole blueberry pies or pie by the slice. Where can you find the Best Blueberry Pie in Philadelphia? CLICK HERE TO FIND OUT! Love a crumbly crust? Wow…show up with one of these and you’ll be the most popular guest at any party. What’s your favorite pie crust? In Philadelphia, you’ll find a selection of pie crusts as varied as the cultures in each neighborhood in the city. Pie crusts come in a wide variety forms, from the basic rolled dough to crushed cookies and folded phyllo sheets. Some pie crusts may be simple, but others are decorative, and the real enthusiasts show off their artistic skills. Double crust, lattice top, crumble crust, flaky, or crunchy, you’re going to find plenty of blueberry pie and blueberry pastry options in Philadelphia. Blueberry tarts, blueberry pancakes, blueberry muffins, blueberry crepes. Blueberries grow wild on the mountainsides of the Pocono Mountains, not far from Philadelphia. The wild berries tend to be a little smaller, a bit more tart and not nearly as plentiful as the farm raised variety which come in from Hammonton, New Jersey. 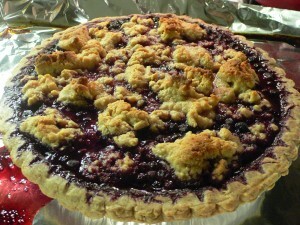 Come to Philadelphia and enjoy some of the best food anywhere and get a piece of blueberry pie for dessert! Thinking about making you own blueberry pie? 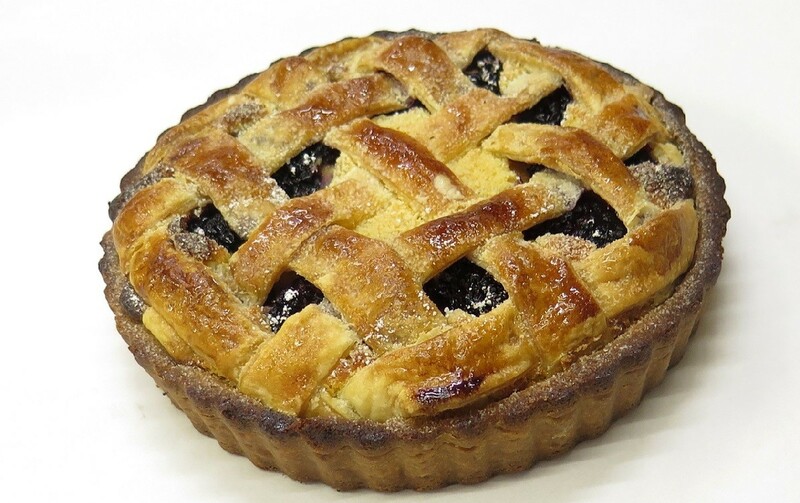 CLICK HERE FOR a fabulous Blueberry Pie recipe.